Dr. George Douglas Lockhart was born on the 8th of September, 1863 in Sydenham, Frontenac County, Ontario. He was the 6th of 7 children born to John Lockhart and the former Roseann Clement. His father was a shoemaker. His siblings included, Sarah, Maria, Samuel, William, Thomas and Alfred. Dr. Lockhart attended Queens University Medical School from 1886-1890. He graduated in 1890. Dr. Lockhart continued his education in London, England and Vienna. By 1892, Dr. Lockhart was practicing medicine in Florence in Lambton County. Florence is in close proximity to Kent County and Dr. Lockhart was caring for patients in Dresden and Camden Township in Kent County. His office was located on the Main Street. Dr. Lockhart married Jennie May Hall on the 25th of April, 1900 at her parents home in Florence. She was born on the 3rd of May of 1872, the daughter of Samuel Hall and the former Patience Scott. Her parents were farmers in Dawn Twp (Lambton County). Her siblings were Edwin, Alfreda, Mary, Annie, William, Jonas and Bertha. 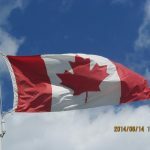 After nearly a decade looking after patients in Kent and Lambton County, Dr. and Mrs. Lockhart moved to King City, York Region, north of Toronto. Dr. and Mrs. Lockhart became parents to 3 children while living in King City. Alfred Douglas Lockhart was born on the 25th of February, 1901, Randolph Lockhart was born on the 10th of January, 1904 and their daughter Patience Louise Lockhart was born on the 28th of June, 1910. Dr. Lockhart was a member of the A.F. & A.M. and the I.O.O.F. 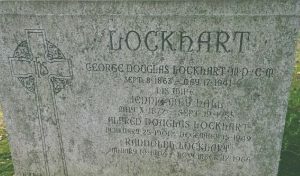 Dr. Lockhart died on the 17th of May, 1941 in King City. Mrs. Lockhart died on the 19th of September, 1955. They are buried at the King City Cemetery.